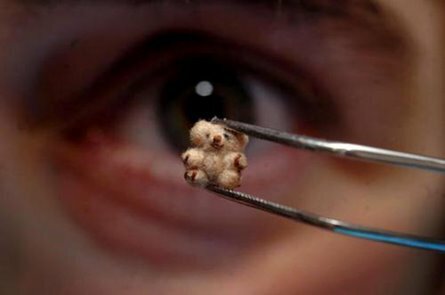 The world’s smallest teddy bear is only 5mm high. This teddy bear called Mini the Pooh is made by German sculptor Bettina Kaminski. It is so incredibly tiny that it is almost invisible to the naked eye. More photos of it can be found from the following link. He is fully jointed with hand sewn eyes, nose and mouth. He lives in the Cheju Island Teddy bear museum in Korea and is displayed under a magnifying glass, for all to see. 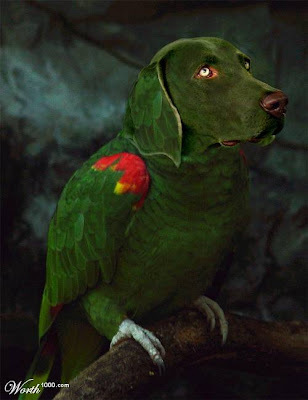 What do you mean almost invisible. Are your fingernails almost invisible? “Almost invisible” is used as an exaggeration to describe that the object is extremely tiny. I must stress that it is only 5 millimeter tall which is much smaller than the fingernail. So when one misplaces it, it probably won’t be found again.